Byron Bay singer-songwriter Bradley Stone’s new single, ‘Over Your Shoulder’, will be released on the 20th February 2019. 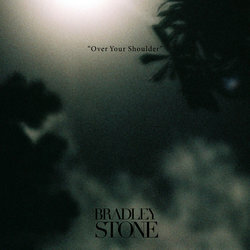 ‘Over Your Shoulder’ showcases Bradley Stone’s soulful vocals, with a raw performance, an unconventional melody and sparse instrumentation. The song’s introspective lyrics and exquisite instrumentation mark the next step in this young musician’s journey to artistic maturity. Reaching deep into his own experiences, this piece turned into — as Stone puts it — ‘an ethereal manifestation, painting a picture of life, during the time when one must move on’. Stone recorded his new EP holed up in a mud-brick eco-house in the Blue Mountains with audio engineer, James Boundy. After having converted the home into a studio, Stone emerged only weeks later with his new EP. Before producing this EP, Stone turned to the streets to sharpen his craft and to gain inspiration. The hardships he faced performing on the street, honed his songwriting skills, adding a level of maturity seldom found in one so young. Critics have compared Stone to the late Jeff Buckley. Stone appreciates the comparison, yet strives to carve his own niche as an artist. With ‘Over Your Shoulder’, Stone might have done just that.